Wu-Tang Clan and Odd Future will headline the seventh annual Murs in association with Guerilla Union presented Paid Dues Independent Hip Hop Festival on April 7 at the National Orange Show in San Bernardino. Guerilla Union pre-sale tickets are currently on sale while tickets go on sale to the general public at 10 a.m. Friday. 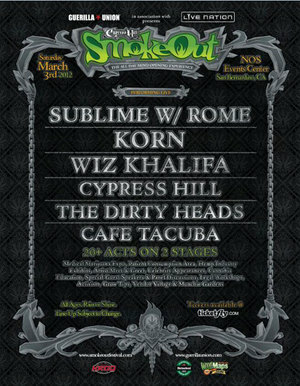 The Cypress Hill Smokeout 2012 event announced more acts this week. 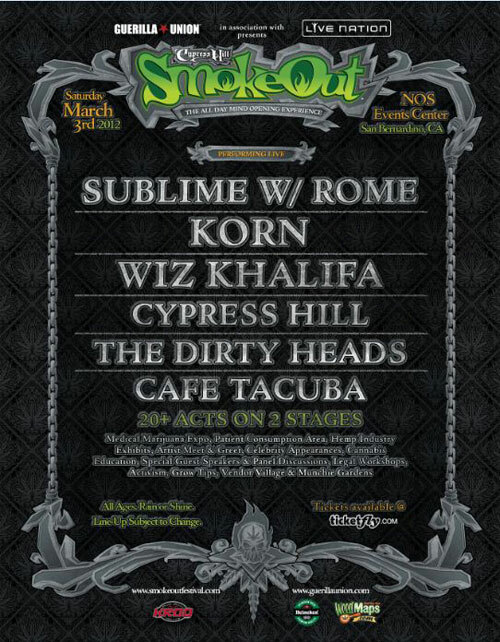 Besides previously announced Cypress Hill and Sublime With Rome, acts Korn, Wiz Khalifa, Cafe Tacuba and Dirty Heads were announced for the March 3 festival and medical marijuana expo at the National Orange Show, 689 S. E St, in San Bernardino. Tickets go on sale to the general public at 4:20 p.m. Dec. 17. Check out our Morrissey photo gallery from his sold out Fox Theater in Pomona show. Photos are from Thomas Cordova.